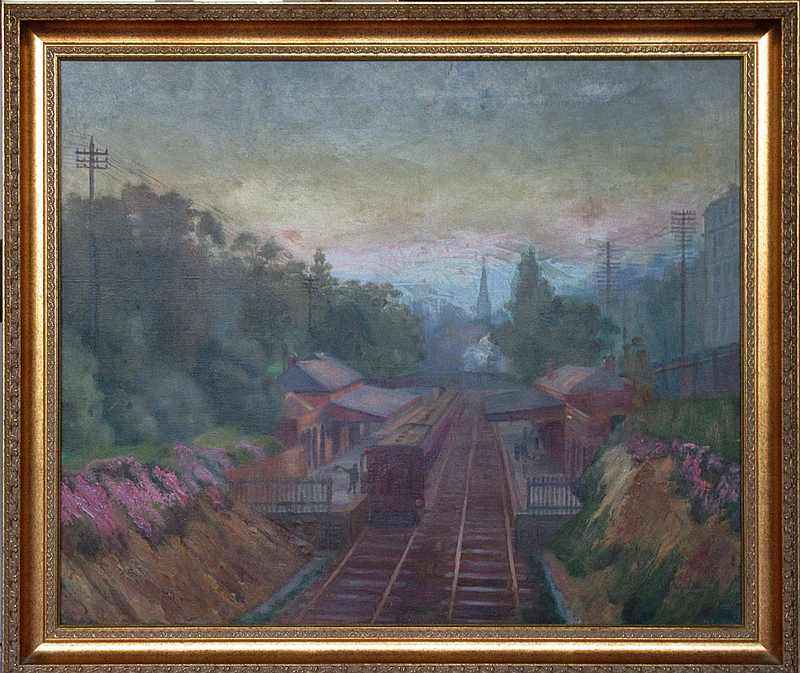 This painting by Janie Wilkinson Whyte (1869-1953) shows Jolimont Station taken from the foot bridge to the east and looking west. A steam train is shown waiting at the station and heading towards the city. The spire of St Enoch's United Presbyerian Church is in the centre distance. A part of Cliveden Mansions appears at the right hand edge of the painting. 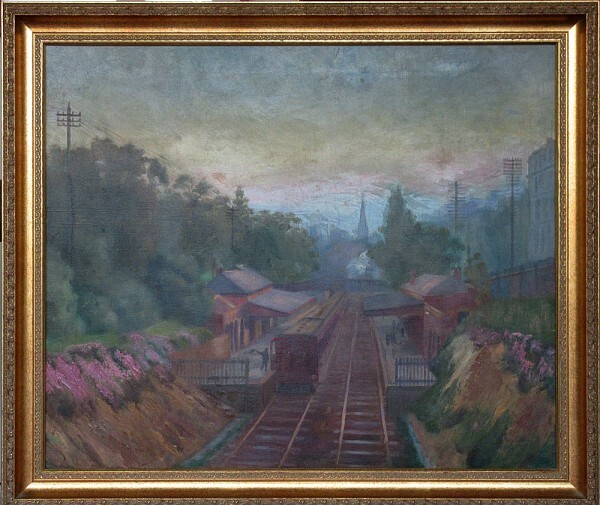 The painting is undated but there are clues in it that indicate that it was painted in 1911. 1. St Enoch's which was on the south side of Collins Street between Russell and Swanston Streets was demolished in January 1912. 2. Cliveden, the grand home of Sir William and Lady Clarke, was sold in 1909 for conversion to apartments. This was to include the addition of a fourth floor. Work started in May 1911, in September work for bricklayers was advertised and in November electricians were called for. From this we can conclude that the shell of the fourth floor was in place by this time. 3. The spring flowering pig face is in full bloom along the sides of the cutting.